The most popular VA refinance option for veterans is called the VA IRRRL also known as the VA streamline refinance. 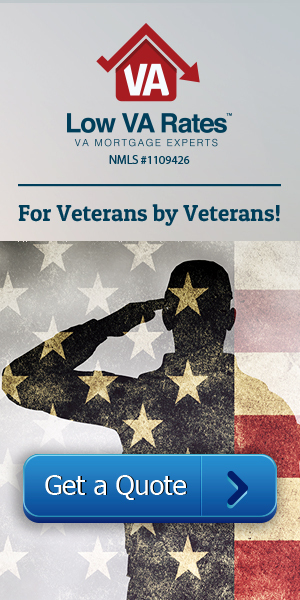 If you are a veteran home owner and you would like to lower your current mortgage payment this option is for you. It is a fast and easy process designed to save veterans money. As a homeowner, you probably think refinancing is exactly that but maybe not as worth it. Even if you think refinancing your home would help you financially, you could run into difficult and time-consuming obstacles. However, the VA loan program offers an option called the Interest Rate Reduction Refinance Loan, or IRRRL. The IRRRL is a streamline refinance option, which means that it is much easier, quicker, and yes, even more affordable than a standard refinance. The VA streamline has reduce documentation to make it an easy refinance option for veteran homeowners. If you would like to learn more about the benefits of the VA IRRRL give us a call now at 855-223-0705. Some of the VA IRRRL Benefits are lower interest rates, lower closing costs, reduced documentation, no appraisal requirements, VA allowable fees and the quick easy process. The VA streamline is an outstanding benefit for veteran homeowners that want to lower their monthly payments and save money. The IRRRL has much lower closing costs, but that isn’t the only thing you’ll be saving money on. The funding fee is also much lower at only .5 percent, and it can even be as low as zero percent of the loan amount for disabled veterans. This is much different from the 2.15 to 3.3 percent funding fee that comes with a normal refinance. In addition to this, an IRRRL allows you to finance all the closing costs into the loan amount, which means you can apply for and close on an IRRRL with zero money out of your pocket. Why is it that IRRRLs are so affordable? For the same reason that they’re so quick to process; simply put, they are designed that way. The VA wanted to have a way for the borrower to take advantage of a drop in interest rates without spending a fortune. When applying for an IRRRL, you don’t have to get an appraisal on the home, and you don’t have to resubmit your debt information and credit income to underwriting. They will simply take all of the needed information from the original loan. This makes this VA refinance option extremely easy, fast, and affordable. The U.S. Department of Veterans Affairs makes this loan possible by insuring the loan. VA IRRRL’s are guaranteed to a minimum of 25% of the loan. The available loan terms are 15, 20, 25, and a 30 year period. The VA IRRRL Is Designed to Save You Money! If you like to save money, the VA IRRRL is a loan option to think about. The most popular refinance out there is the IRRRL, also known as the Interest Rate Reduction Refinance Loan. The advantages of the VA IRRRL are many. Let me talk to my pessimists friends out there about why they might not want to get a VA IRRRL.If you hate saving money, this really isn’t the option for you. Personally, I hate it when my money starts piling up in my bank account. What am I supposed to do with all that? The IRRRL will lower your interest rates, making monthly payments much smaller. With all that extra money, you might be pushed into going on long vacations or getting a new car to replace the one you have now that always breaks down in the middle of an intersection. Before the road trip songs start playing hauntingly in your head and before you get sickened by the thought of smooth driving and excellent gas mileage, understand there a few pockets of people in the world that actually like saving money. It’s faster. Most refinance options take long, grueling months to process. Piles and piles of paperwork get slapped down in front of you for weeks and weeks. It really wakes you up and makes you feel alive. How thrilling! Let’s not even mention how exciting it is when you sit there just waiting to know if you’ll even be approved for the loan. I live for moments like these. The suspense, the intrigue. But the streamline just isn’t like that. There’s very little paperwork, and you can get your VA home loan processed in under two weeks. Kind of anticlimactic, but if you’re in a hurry, I guess that can be nice. EEM. The VA IRRRL gives you up to $6,000 to make home energy improvements. Many of us like to feel a chill in the house during winter. In fact, it’s one of my favorite things. Right up there with clowns and dental work. As an added bonus, when you turn up the heater to overcompensate for all the heat going out of your single-paned windows, the utility bills shoot through the roof. Life doesn’t get more calming than that. But with an energy efficient mortgage, all of this goes away. The money provided through an EEM can also be used to install AstroTurf and so much more. So many choices! Low VA funding fee. Again, people are always saying “save money! save money!” The IRRRL keeps even more money in your pocket by lowering the VA funding fee. In fact, it’s only at .5 percent. I scratched my head for a while, trying to look at this from a different angle. But it’s just saving money. There’s nothing more to it. On top of all that, you may not even have to pay the funding fee at all, depending on a few different factors. No closing costs out of pocket. On the bright side, you still have to pay closing costs like with any home loan. However, these can get rolled into the amount of the loan so that you really aren’t paying anything up front. It’s almost suspiciously easy. Don’t get too discouraged by this fact; depending on your individual situation, this might be a good course of action for you. Sounds terrible, right? No! In all honesty, these advantages really do make the VA streamline refinance one of the absolute best mortgage loan options on the market. Here at Low VA Rates we consider ourselves experts in the VA IRRRL. Call us now at 866-569-8272 for current interest rates.